Disclosure: I received a gift card. All opinions are my own. Del Taco is one of our go to drive through places for meals. The food looks and tastes fresh and they have a pretty good menu with a variety of choices. Del Taco recently launched three new Fresca Bowls and of course, we had to try them out! The Fresca Bowls are a great alternative to the classic taco and/or burrito. 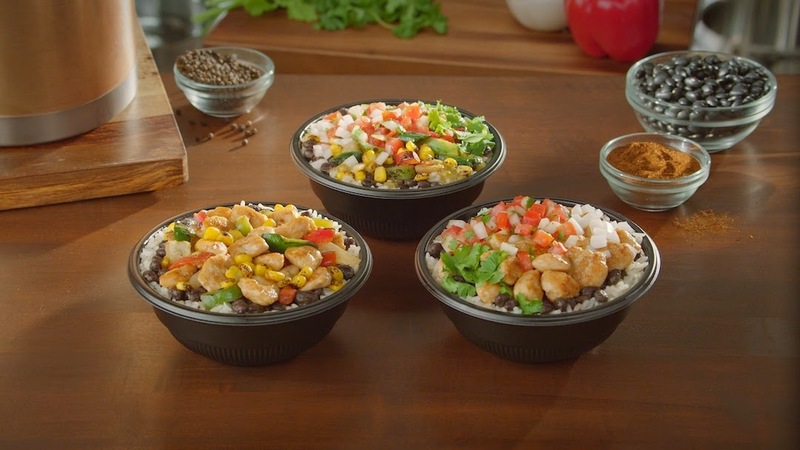 The three varieties are served on a bed of fresca lime rice and seasoned black beans and priced at only $4 each! For a limited time, with each Fresca bowl purchase, you can get a free small drink! Play a Game to Win a Free Drink! I would like to try the Southwest Grilled Chicken & Veggie Bowl and the Caramel Cheesecake Bites! I'd like to try the Steak and Potato Burrito and my favorite is the Southwest Chicken Bowl. Fave bowl is the Pollo Asado Grilled Chicken! Fave menu item is the deluxe taco salad! I wanna try pollo asado bowl. I would like to try the cheddar potato poppers. My favorite Fresca Bowl is the Fire Roasted Veggie one. I'd like to try the Cheddar Potato Poppers. The Pollo Asado Grilled Chicken sounds good. I want to try the MACHO Combo Burrito and the Southwest Grilled Chicken & Veggie Bowl . I would like to try a grilled chicken fajita and the fire roasted veggie bowl. I would like to try the grilled chicken bowl. My favorite at del taco is the been and cheese burrito with green sauce! i would love the grilled chicken bowl! my favorite right now are the fish tacos!